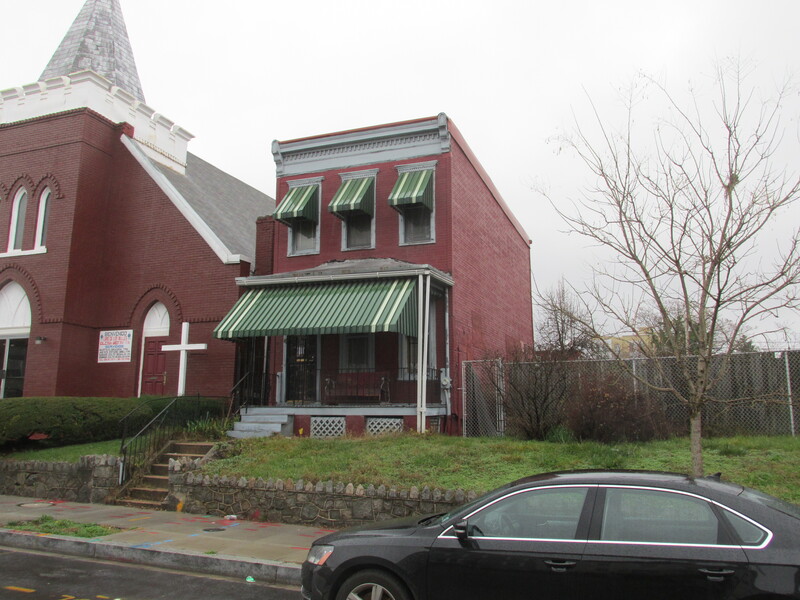 Development Headed for 3229 Sherman Avenue, NW | Park View, D.C.
Based on a raze permit application dated December 22, 2015 and a letter from Zoning Administrator Matt Le Grant at DCRA dated October 19, 2015, the old house at 3229 Sherman Avenue, NW — just south of Lamont — appears destined to be razed and its lot subdivided. The project, based on the determination letter, would be a matter-of-right project allowing construction of three new rowhouse structures, each containing up to two units. After visiting the site, I observed that the current lot is generous and that the existing structure is not in ideal condition. An attempt to learn more about the project has not yet been successful. The house was constructed in 1890, ranking it among the oldest houses still standing in the neighborhood. However, other than its age, there is nothing historically significant about the structure (though it would definitely be a contributing structure if it were in a historic district). The house was built in 1890 by John F. Finn. Finn was born ca. 1861 in Ireland and settled in Washington with his parents at the age of 5. For many years he was in the grocery business. By 1885 Finn was living on Georgia Avenue, then the 7th Street Road and it was there that he married Annie Lauer in 1886. It is possible that he built the house on Sherman Avenue four years later in anticipation of a growing family, but that was not to be. On September 14, 1895, Annie died at the age of 31 years. John Finn must have found it difficult to live in the house he built without his wife, as Thomas Field is listed as living at 3229 Sherman in 1898, though Finn still owned the house. In 1901, Finn moved to Lanham, MD, and sold the house in 1902 to Thomas A. Johnson. Eventually Finn remarried and, when he died in 1935, was survived by his wife and three sons. Thomas Johnson, the house’s second owner, was an African American gentleman who, like Finn, may have purchased the house in anticipation of wedded bliss. In 1902, the year after Johnson bought the house, he married Lovinia Ann Haywood and hosted the wedding reception at 3229 Sherman. Prior to their marriage, Lovinia was a music instructor in one of Washington’s city schools, presumably a position she retained after her marriage. In 1903 she was also a member of the board of management for the Washington Conservatory of Music. Little more has been discovered about the earliest residents of 3229 Sherman Avenue thus far. But even the scant information that is available provides insight into the character of the area’s earliest residents. This entry was posted on December 31, 2015 at 7:01 am and is filed under Development, Housing. You can subscribe via RSS 2.0 feed to this post's comments. i think it would have been better to build a small condo building and incorporate the existing structure into it.